So far I'm part way through recording No.2. Charles comes over as a very softly spoken, kindly, gentle person, a real 'gentleman'. Highly intelligent too. Probably an advanced soul (not a 'baby' soul). As ever the best truths come out without anyone trying to force the info on others. The person speaks their truth and its for others to accept it as possible, plausible, or a load of old tosh. Over the several interviews Charles seems to be consistent in what he says, and of course whilst this does not have to be significant I always remember the old adage about speaking the truth meaning that a person does not have to remember what they told someone at a previous time. What is also useful in validating what Charles is saying is that other people have been able to provide independent input - by which I mean have had their own totally unconnected experiences. I feel sure that there is a thread somewhere on this site which names names. However, there will be many who will only accept this as factual when its on the TV news. The problem here is that CGI means that the TV news may not be reporting as accurately as one would wish! What is really needed is for the Tall Whites to just 'show up'. However, in doing so there is a risk of a posse of bible bashing fundamentalists and other nutters descending en masse with bloodshed in mind. This of course would be totally unacceptable. (Dulce would be a different issue, especially if to free human prisoners being held captive for medical / genetic etc experimentation or as a source of food). Edited by simple simon, 11 November 2014 - 10:06 PM. re: their saying that they love their children more than we humans love our children, I see that as a combined boast and put-down, albeit not totally unfounded. It is indeed a tragedy that whilst some humans do cherish their children there are also some who really do not seem to have parental instincts and really should not have brought children into the world. Not all the street children in S America will be because their parents are too poor to care for them or died leaving them as orphans. Then there are the children in some places who from childhood are being trained to think that perishing as a suicide bomber is in any way honourable. Yuck. Edited by simple simon, 11 November 2014 - 10:05 PM. Youtube Interview with Charles Hall on Australian television, March 2013. Edited by simple simon, 01 April 2013 - 10:54 PM. ...AND I spoke about 'Charlie's Trip' and tour of Australia...to the PROBE Conference/Blackpool U.K. Audience on 23 March of this year. Told them that Glennys McKay...a very gifted Clairvoyant Medium, whom I had on my Radio Show...had kindly invited the HALLS to Australia and set up this Media blitz tour. She is a wonderfully gifted and loving lady. I'll be putting up my 'talk' at PROBE...with the Charles Hall material as well...ASAP, so folks can see and listen to it on the YouTube Channel and here. You've done a great service...here Simon...by putting up the Australian TV bit on a Charlie interview about this trip. Many thanks. Would be even better if the YouTube video included real photos / video of them (and not just drawings)! ...Don't think, if Charles Hall had any photos/films to show, he'd show them on a 'Aussie' TV show. Wait until his tour/talks take place in Aussie Land...and look to see if there might be other material. I mean. All I can offer right now is 'INTELL' which IS definite in Confirming the 'Tall Whites' et al. Possibly by the time Charlie is giving his presentations the shooting war with Korea will have started, and as a result the media will be in overdrive covering that, meaning that Charlie's voice will not be heard by the masses. My main reason for coming here however was to talk about the Tall Whites. I asked Tom Moore of the Gentle way Newsletter for further information about them, including from where they came. His response (data sourced from an off-planet contact who will be coming here physically later this decade) was that they are no longer here. They were conducting studies but have now left. ...Where do these 'all knowing' off planet informants and these multitude of 'Web Sites' with special knowledge and contacts come from? The TW's are here in the thousands...many at 'Nellis'/Indian Springs. THEIR Big Ships still arrive EVERY FULL MOON to the base. Hundreds of their 'Scout Ships' are here on Earth...and still going about the Planet and the Solar System. Earth is one of their special 'WAY STATIONS'...and a place of education for their children and families. Don't believe every 'new comer' to this Topic, and please don't accept 'intel' and opinions based on those without the slightest clue or access to agents and programs ongoing with the 'Tall Whites'. Trust...when I tell you, that without them...we here on this planet would be in a worse mess than we could handle. The 'TW's' HAVE BEEN HERE 'Millenium'...and the 'NELLIS AREA' has been a 'HOME' for hundreds of years. Since you seem to be so 'taken' with Tom Moore...go ask him personally about where he thinks/or knows where 'The Nordics' are. Since he's so knowledgeable he should be able...with his vast resources...to answer this simple question. Then come back here...And I'll clarify things for you. May have to do it privately! The reply here...is meant to get you to 'investigate' these people whom you have put your trust in...it seems...without ever knowing them, what their agendas are, or who 'they are working for'...suddenly YOU feel they are to casually be believed. This whole....'The TW's have left'...is so LAME as to deny the whole real scene around this world. Good golly...it's like being 'briefed' by 12 to 14 year old mentalities. These 'In touch with Angels'/Inspirational 'SELLING' people...like Moore...appeal to the 'needy', gullible, and 'naive' people. They have...all through our histories. This is 'Carnival Barker' show time and the 'cult of personalities' fraudulent 'Spiritual' catering...and an insult to intellect. These people are 'selling themselves'...and are basically the cheapest of actors and narcissists...doing 'New Age Marketing'. ANOTHER OF OPRA’S ‘SELF HELP’/’THE AGE OF THE ‘QUICK FIX’ GURUS LIKE DR. PHIL. I'm troubled also that YOU would be 'taken in' by these charlatans. It really bothers me. Get a hold of yourself. The popularity of such people...is very toublesome for the consequences it has for society at large...It's very much like buying a 'magical elixir' and praising 'Junk Psychololgy' for a temporary plecebo benefit. Those in 'the audience' for Moore and the like (such as 'Wayne Dyer') are simply 'Marks'...opting for spiritual and mental lobotomy for their 'problems'. 'John of God' is another one. He sells a basic 'same product'. Oh yes...John was in Switzerland recently, and then in Toronto/Canada...((when I was doing the 'Probe Conference) where his tickets went for $188. Interestingly enough...his own country folks in Brazil don't go to him. 'They' SAY almost to a person...I've talked to...that 'Only Gringos go to see him'. I had to ask... it was free and I was curious as to what would be said in response. I did not expect that reply... what I was expecting was to be told that such information could not be shared as it was for them to disclose when and if they wish to. Or something along those lines. In a way I was 'testing' his data as I know that I can be too trusting and only wanting the best for and from others. So I had to find a way to discover (quote) "the colour of his money". Tom's weekly newsletters have been like a mine of information, but its still channeled information and open to interference, trickery, tomfoolery, and all that. For all we know, despite the fine sounding names of those he says he contacts, they could still be the same old "astral monkeys" which share the same old truths wrapped up in much disinformation. If this is so then its probable that Tom is being deceived as much as everyone else. Tom has in the past been given other information which was time-related and failed to materialise within the quoted timeframe. Afterwards the expected plausible sounding excuses were given (by the sources), and whilst this did ring alarm bells I had no way of validating my concerns. Now, for the first time I've asked a direct question and been given what amounts to false information from the outset. ps: the source of the information about the Tall Whites is supposed to be coming here (as a real-life 'flesh and blood' visitor) along with some Plaideians (and others) later this decade. It will be interesting to see what transpires. Edited by simple simon, 03 June 2013 - 11:22 AM. ...And most glad you explain yourself so. btw, it is possible that the information given was tactical... either to discourage hoards of armed Bible-bashing bloodrthirsty people from trying to find them, or because since we are effectively in a state of war with our leaders so the old tactic of trying to confuse the enemy has been employed. Hmm, could this be true????? Edited by simple simon, 14 January 2014 - 10:09 PM. ...Good 'pick up', and nice hearing from you. Still, one would NEVER believe something picked up from 'Sorcha Faal'...as you well know. That group, of course we ALL should know immediately, is the MAJOR 'Disimformation' Site probably on the entire World Wide Web...and sponsered by 'MONEY TO BURN FOR THEIR CAUSE' Socialists. Really!! I thought that the agreements of the type described in that article were with people from the Orion system, who are allied with some Reptilian people. I wonder therefore whether an attempt is being made to besmirch the Tall Whites by those who would rather remain in the shadows? That said, we do not actually know from where the TW came and whether their home planet is within the Orion sphere of influence. As ever the only thing we do know is that the more we learn, the more we realise just how little we know. It really is possible to know so little that one does not even realise their ignorance / lack of knowing or that there are questions they could be asking... if only they knew the topic existed! Anyway, this info about Charles Hall and his interaction with the Tall Whites forms a great starting point for the epic voyage of discovery of information which really ought to be widely known. New ‘Edward Snowden’ Leak: ‘Tall Whites’ Aliens Control the USA! ...This latest ‘LEAK’ was recently reported on Forbes.com. FORBES, of course is a ‘Main Stream’/highly prestigious source of news and finance. Snowden reportedly said...that the ‘Tall Whites’- Aliens, control the US and have been since the 1940's. 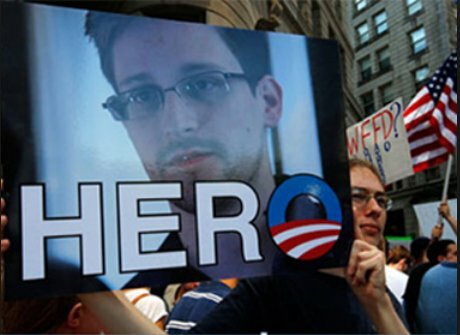 This information surfaces as NSA whistleblower Edward Snowden is still on asylum in Russia. Our ‘Members’/guests already know that ‘The Sweeps Fox Show’-Radio carried this story of ‘The Tall Whites’ from the beginning of Charlie Hall’s revelations about them...as a Air Force Weather Man actually working with the ‘Tall Whites’ adjacent to ‘Area 51’ at ‘Nellis Air Force Base’/Indian Springs Nevada-U.S.A. IN FACT...our Radio Show was 'THE FIRST' to INTRODUCE Charles Hall to the entire World Media/Stage...as an Exclusive. His BOOKS, interviews, and TV/conventions are now VIRAL Worldwide of course. Go back in this TOPIC...a few replies...and get LINKS for ALL of our Radio Shows with Charlie Hall, and have a listen. There are 3 full free shows for you. It’s advisable that YOU do know about these particular ET’s...and take it ‘on board’. bump, to make this thread easier to find and share with others!